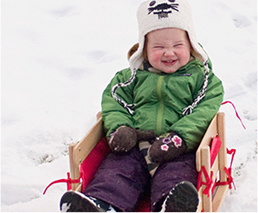 Can I use a summer photo in my holiday card? Yes, this is very popular. 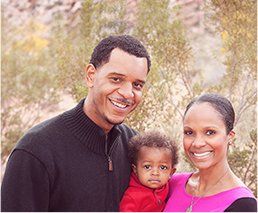 We offer many styles with beach and tropical themes to make your warm weather photos look their best. 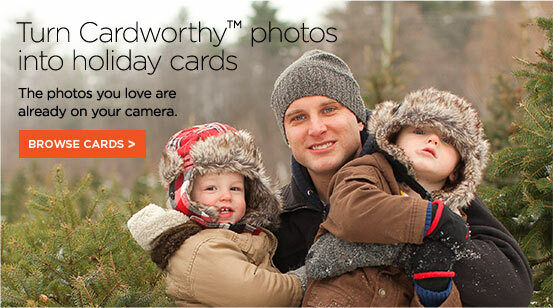 How many photos should I put in my holiday card? It's up to you — as few as one and as many as 12. Start with the photos you love. 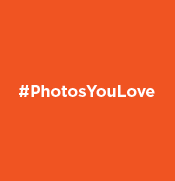 You can sort by number of photos, color, theme and more. From rounded corners and designs on back, to pearl shimmer cardstock and tri-fold cards, the choice is yours. 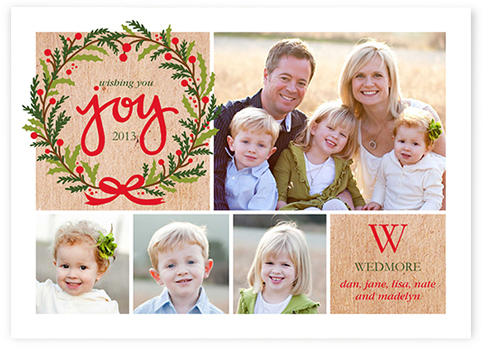 Traditional holiday colors and themes set your photos off and send a merry message. Cheery and bright patterns that pop to highlight how you feel about the season. 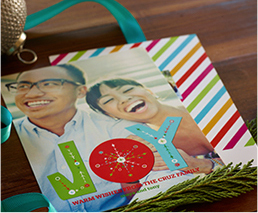 Designs and greetings that add a little whimsy to the happiest of seasons. Crisp lines, modern fonts and playful layouts send a cheerful message. 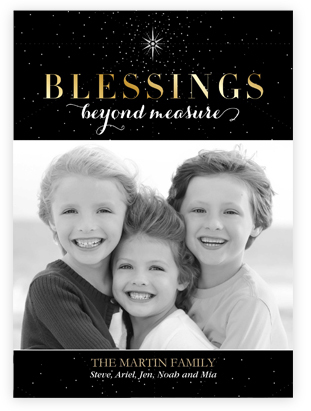 Make the spirit of the season your message of love and gratitude. 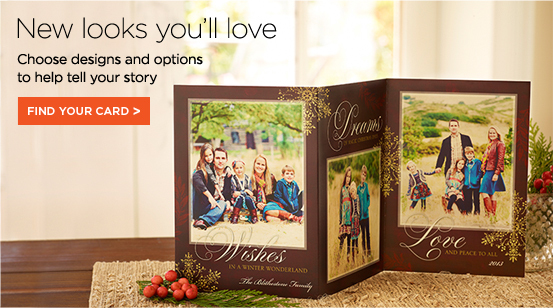 With six sizes to choose from, you're sure to find one that's right for your photos and greetings. 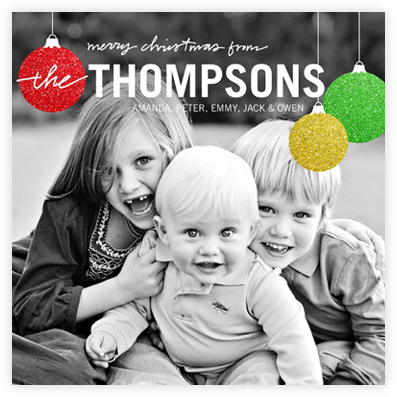 Choose how you want to customize your holiday cards. 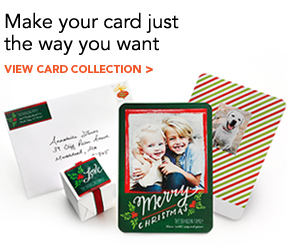 Can I customize my card? Please do! 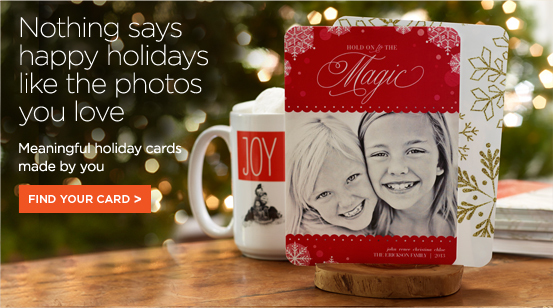 Change the background color, add a back-of-card design, choose rounded corners, select from different layouts. Once you choose a card, you can make it your own. Which photos should I use in my card? 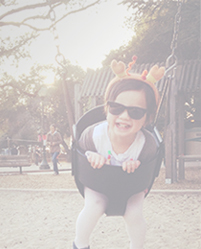 That's the fun part — it's up to you. Some people love to use favorite shots and others prefer formal portraits. Just choose a design that complements the photos you love. What should we wear for a black-and-white photography sitting? Black-and-white photos are a nice way to make a classic statement and the colors you wear are key. Choose clothing colors that contrast your background and avoid busy patterns, but don't worry about matching exactly. You can and you should. 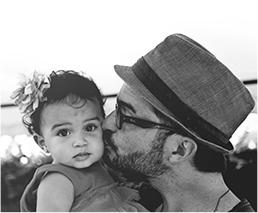 Often, the photos that best capture your family's personality are the ones taken in the moment on a mobile device. Is there room to add my greetings? Absolutely! 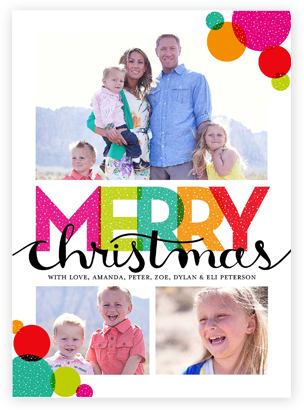 If you like to send a Christmas letter, look for layouts with large text boxes. 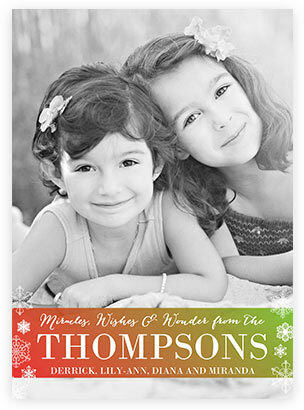 If you just like to include your names and a brief greeting, any card layout will work well. How many photos should I add to my card? That depends on how many children you have. Do you have a pet? Did you get married this year or take a big trip? Friends and family will enjoy seeing how you spent your year. What if I don't have kids? From your first holiday as Mr. and Mrs. to your furry friend's first Christmas, we've got cards to match your life and style. What's the best way to take a selfie? Selfies capture fun moments throughout the year, but they can be unflattering if not done right. So, use your phone's timer instead of holding your phone at arm's length. Try to avoid using the flash and keep your chin up! Do I need a formal photo for my holiday card? 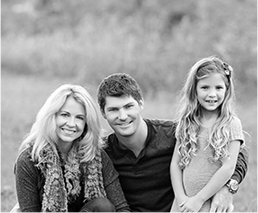 Not at all, but many families have an annual portrait taken, so it's natural to use it in a holiday card. 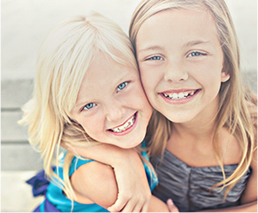 Choose a single photo style, or feature your portrait on the front and use more casual shots inside or on the back. Ideas to get the kids to show their true colors. 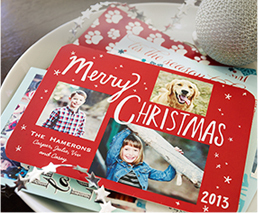 We'll show you how easy it is to make a holiday card. 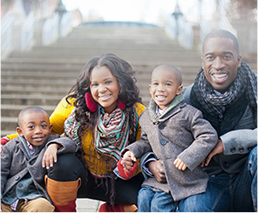 Start a new tradition with your own Family Photo Day. Sometimes the best photos are the ones you take on the go. Inside or outdoors? Find the right light for your photos. 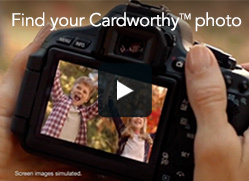 What's a cardworthy photo to you? Watch our holiday spot for ideas.